The Hollywood Walk of Fame is adding 33 new stars this year, and one has been a long time coming. Selena Quintanilla-Pérez will be posthumously awarded the honor 21 years after her death. The Committee looked carefully at each nominee and we feel that we have selected a great group of talent that will appeal to the tastes of many fans around the world. Selena is joined in this “class” by Tyra Banks, Chris Pratt, The Rock, and quite insanely, Criss Angel, amongst others. 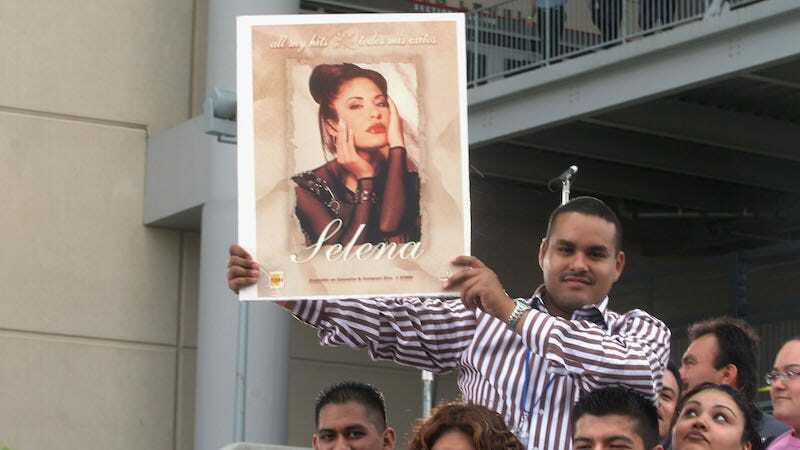 Known as the Queen of Tejano music, Selena’s work meant a great deal, particularly to her Latino fans, and though the mix of people who are awarded stars are sometimes WTF-inducing, her inclusion will be important to many.